‘MANDY PATINKIN IN CONCERT’ presents the acclaimed actor/singer/storyteller in his most electrifying role: concert performer. “Mandy Patinkin is in the business of showstopping,” raves The New Yorker, and that’s exactly what he does in this powerful, passionate evening of song. 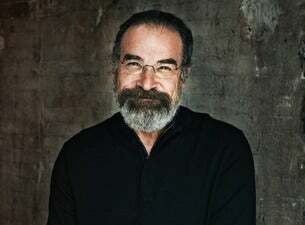 From Randy Newman to Stephen Sondheim, from Irving Berlin to Rufus Wainwright, Mandy Patinkin takes you on a dazzling musical journey you’ll never forget.